However, Kareena walking the ramp was not the only highlight of the evening. Actor Ranveer Singh also made it a night to remember. 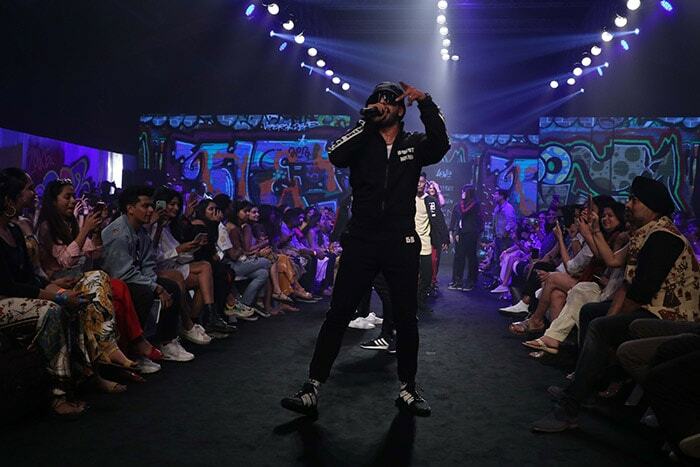 He walked on to the ramp while rapping the songs Asli Hip Hop and Apna Time Aayega from his upcoming film Gully Boy. Rapper Divine, whose character partly inspired Zoya Akhtar’s film, also rapped along on stage. 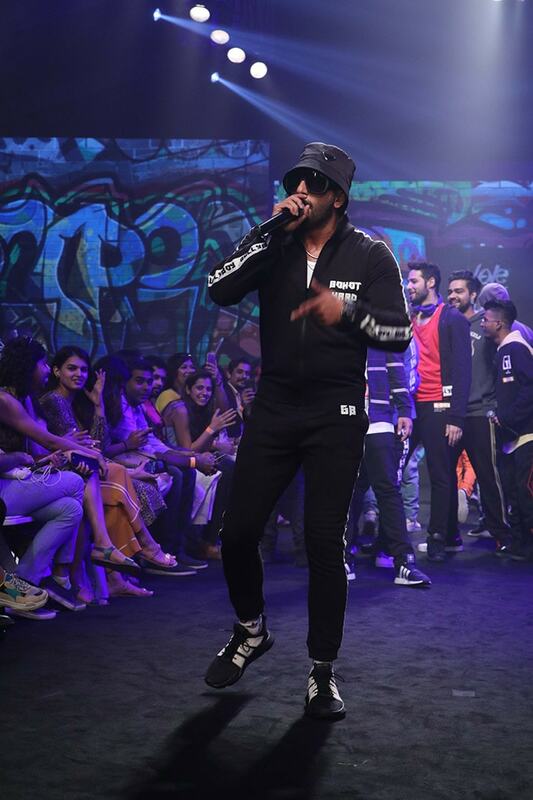 With street-wall graffiti as the backdrop and Ranveer’s rapping, the mood was just set for the fashion label Ranveer introduced on the ramp – it’s a collaboration between LoveGen and Team Gully Boy for collection GullyGen. 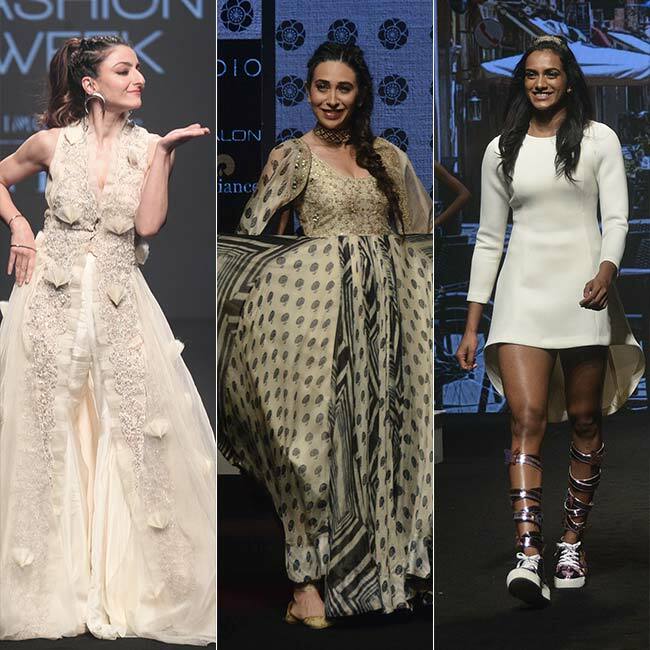 Meanwhile, Karisma Kapoor, Soha Ali Khan and PV Sindhu were showstoppers for designer Punit Balana. Also spotted on the ramp were Aditi Rao Hydari, who was a royal sight in an elegant piece from the fresh collections of Latha. 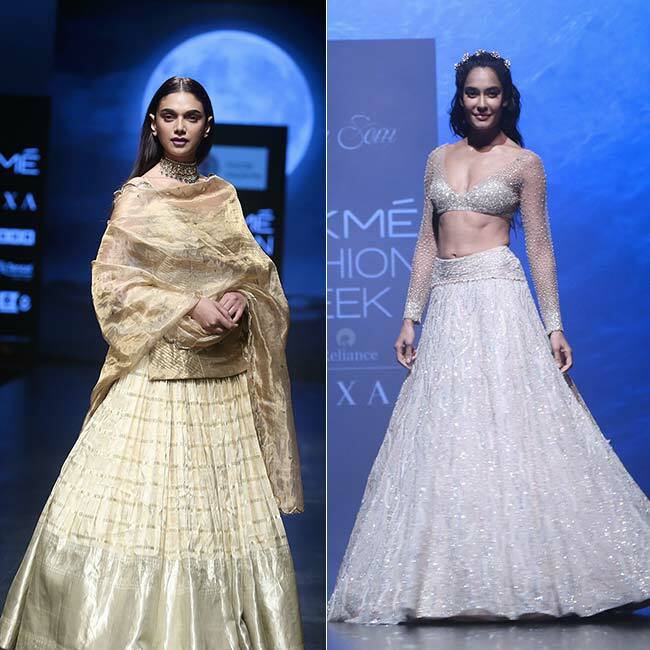 Lisa Haydon was the showstopper for Shriya Som’s brand new collection – she looked ethereal in a shimmery lehenga. 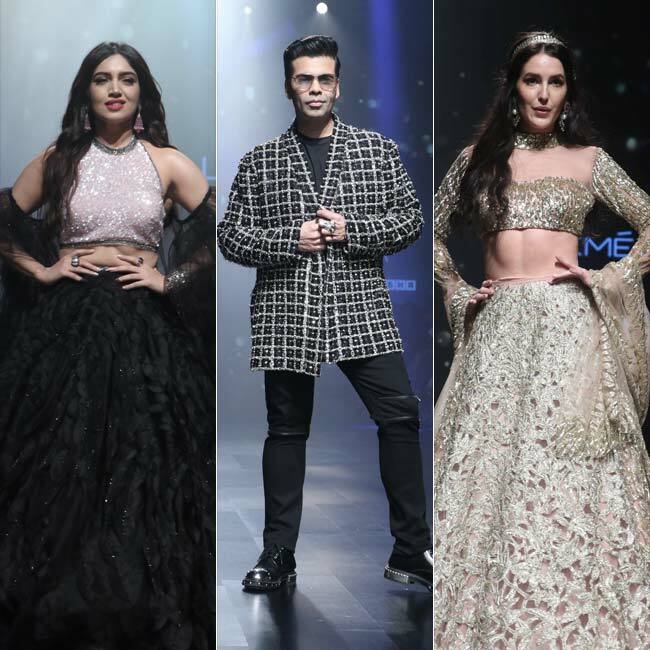 Bhumi Pednekar, Karan Johar and also Isabelle Kaif walked the ramp for Shehla Khan’s Spring-Summer collection on the finale day. Other celebrities, who made a splash on the red carpet, include Sacred Games‘ actress Kubbra Sait and Four More Shots Please‘s Sayani Gupta.